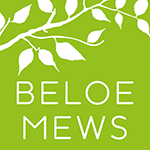 With contemporary style in a superb location, Beloe Mews is a development of four 3-bed homes in Horfield, Bristol. Not only is it a very short stroll from the array of independent shops on the famous Gloucester Road, Beloe Mews is also close to the greenery of Horfield Common and is in the middle of a number of good primary schools. Inside, a host of smart features and high quality specification from top to bottom, helping you enjoy truly modern living. Construction on site completed in December 2015 and all units were sold off plan.